I've always said that I must have been destined to have girls because I just don't understand boys sometimes. The endless energy, wrestling and need to hit rocks with sticks at every turn just baffles me. Why is that fun? Then there is the aftermath of boys. I cringe hearing about the broken toys and the I can't have anything nice mentality... but what sounds even worse? The bathroom. I avoid cleaning our bathrooms at all cost so I can't even begin to imagine having to clean the toilet with boys around. Yeesh. 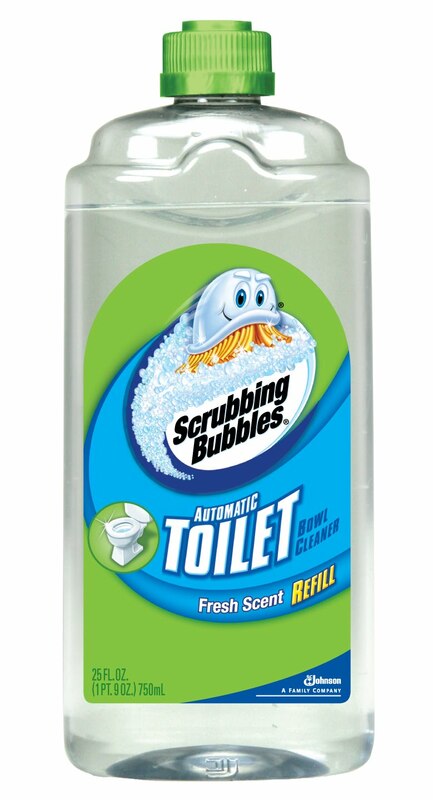 Fortunately for all of us non-bathroom cleaners out there, Scrubbing Bubbles is known for making great products to help us all have a clean toilet without having to do a lot of work. Their latest, however, takes the cake. 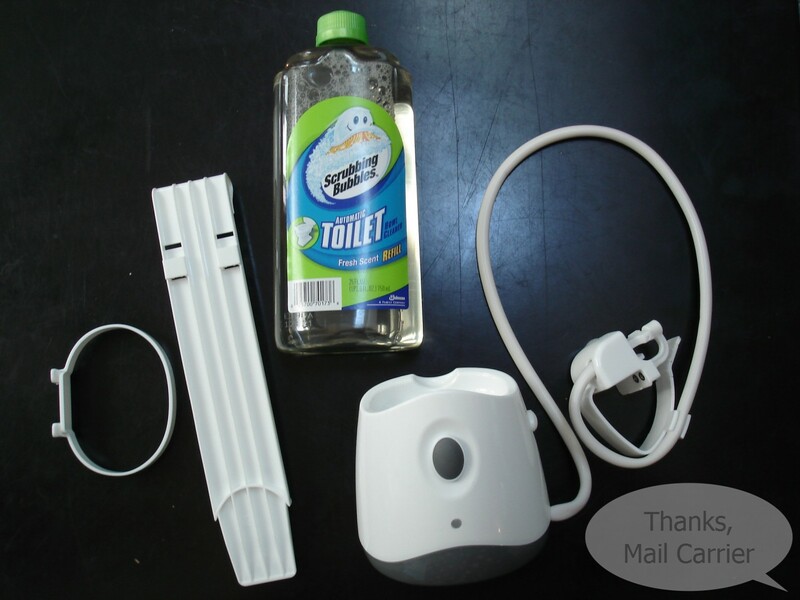 The new Scrubbing Bubbles Automatic Toilet Cleaner works to keep your toilet looking and smelling great and the best part? You don't have to lift a finger to have it do so. I have to admit, I was slightly skeptical when a Scrubbing Bubbles Automatic Toilet Bowl Cleaner arrived at our house. Really? I could just attach it to my toilet and not have to do a thing for a month? It sounded slightly magical to me but was definitely worth a try. Right out of the box and things were already easy. After quickly snapping the holder onto the base and inserting the bottle of cleaner, it was ready to go. 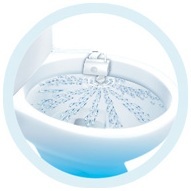 After clipping the sprayer right onto the rim and hooking the base on the toilet tank (you have the option of setting the Scrubbing Bubbles Automatic Toilet Bowl Cleaner on the floor or hooking it right on the side of the toilet. I opted for the latter figuring curious little hands were less likely to touch it that way) it was then time to check this gadget out. Scrubbing Bubbles does recommend that your toilet be cleaned prior to beginning use of the Automatic Toilet Bowl Cleaner, but fortunately my husband had just given ours a good cleaning the day before this arrived. Fully equipped with four AA batteries, all I needed to do was press the button to get things started - definitely something I could handle. After a second or two, there was a whirring noise as the sprayer turned on and the cleaning solution covered the bowl. Not bad, I thought, but how would it do after a few days and weeks? 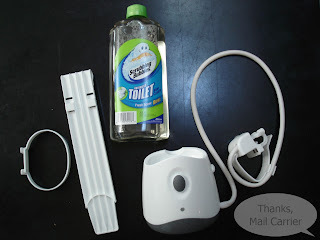 The results: I'm really impressed with the Scrubbing Bubbles Automatic Toilet Cleaner , even more than I thought I would be. Every eight hours the sprayer spins 360° for full coverage cleaning, even under the rim, and keeps away toilet rings, hard water marks, limescale and just the in-general griminess that I usually find. I love that there is a motion sensor right on the sprayer so that there aren't any worries about anyone being accidentally sprayed and that the pleasant, clean scent isn't overpowering or chemical-smelling. Instead, I walk into my bathroom and it smells nice and fresh and not at all like I haven't cleaned it in weeks. The Scrubbing Bubbles Automatic Toilet Bowl Cleaner is available only on Amazon.com or Drugstore.com (not yet in retail stores) for around $26 and includes everything you need to get started. The cleaning solution lasts approximately four weeks and a Refill Twin Pack retails for around $11. Normally my husband is against gadgets that claim to do the cleaning for you and instead prefers to do things by hand. However, in this case he has already mentioned his plans to purchase two more Scrubbing Bubbles Automatic Toilet Bowl Cleaners for our other bathrooms and is quite pleased to have one less item on his list of things to clean. Who wouldn't be happy to turn over toilet cleaning to someone or, in this case, something else? To keep up with Scrubbing Bubbles, visit their website or check out their new Twitter page - which is full of giveaways, coupon offers and cleaning tips and advice. 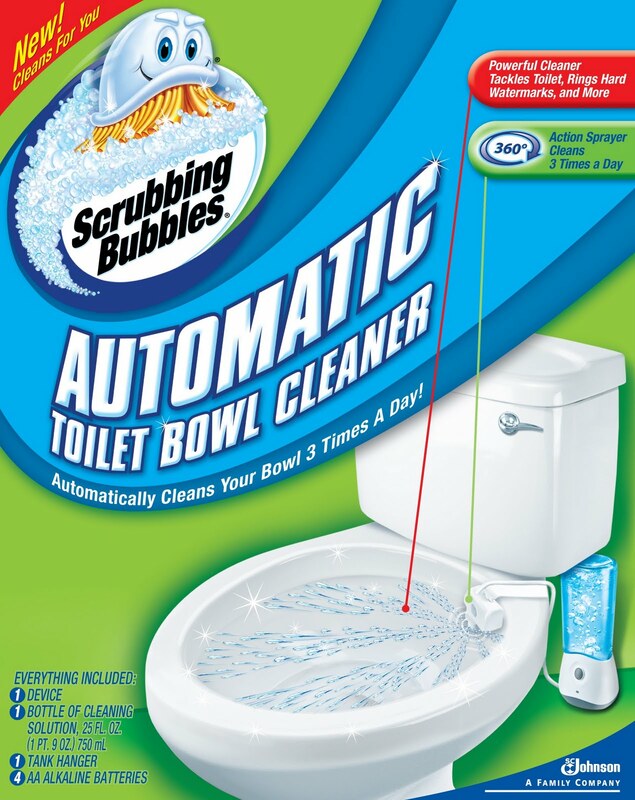 They're giving away Scrubbing Bubbles Automatic Toilet Bowl Cleaners as well, be sure to follow them for a chance to try out this great product for free! This looks great! I'd love to hand over the toilet cleaning to something else! I will have to look into this. I have one of these too, and think it does a great job cleaning, but am hoping the price of the refills goes down, because they are quite expensive. I used to use this. It worked great. I just felt like to keep buying the refills was a little more pricey. Thanks!